Research buyers often face a decision of whether to commission a large or small research firm for their projects. In the MR industry, there are not many mid-sized firms, as it seems that once a firm reaches a particular size, it tends to merge with another or be bought by one of the big firms. So, buyers often have to decide whether to award a project to a boutique or a major corporation. We have a unique perspective to bring to this issue. Although we are a boutique firm, all of our researchers came from and have spent most of their careers at major firms. So, we’ve seen from the inside what some of the pros and cons of each are. Let’s start with the larger firms. There are many advantages of using them. Perhaps most obvious is the name recognition they bring to a project. Just as “nobody ever got fired for buying IBM,” commissioning large suppliers is typically a defensible decision. In cases when results are intended for public release or if individuals that need to use the insights are unfamiliar with the industry, having a strong brand name behind the project can be important. Larger firms tend to be very skilled at the execution of projects. There are layers of process and quality control checks in place that protect data collection from mistakes. Larger firms are blessed with deep benches. There tends to be someone that is an expert in almost every type of project or has an industry-level expertise that can be tapped for a project. This can be important for studies that rely on esoteric statistical techniques or for industries that are truly complex and unique in their marketing challenges. When leaving a large supplier to start a small firm, we were both surprised and comforted that some of the nation’s largest brands and research spenders choose to spend considerably with small, boutique research suppliers. We know many local advertising agencies whose startup story is similar to ours. They came from a major agency, went out on their own, and have established a small firm. Yet, for some reason in the advertising space the boutiques almost never win a major, national account. This happens commonly in market research. So, what are the advantages of a smaller, boutique supplier? We feel there are many. In smaller firms, a “reverse Peter Principle” occurs. The Peter Principle suggests that in larger firms individuals get promoted over time until they just reach their level of incompetence. In smaller firms like Crux, the opposite is true. We tend to be working well below our level of competence for most study-related tasks. This ensures high quality and efficiency. As an example, in a large firm your questionnaire is likely being programmed by a recent college graduate with a few years’ experience. At Crux, your questionnaire is being programmed by an individual who used to manage an entire programming department, has programmed thousands of questionnaires, and has been working with SPSS for 25 years. Small firms are undoubtedly faster and more responsive to client requests. We can be very nimble because we don’t have as much process in place, we’ve all worked together for many years, we are willing to work outside of normal business hours, etc. We make quick decisions. We literally don’t have an accounting department watching over every added request along the way, bosses worrying about the next quarter’s financial results, or support staff refusing to go the extra mile. On our small team everyone is responsible for everything. Smaller firms tend to be less expensive, which is often why large research spenders work with us in the first place. But, we find that over time they stay with us more for the quality of the work we provide. 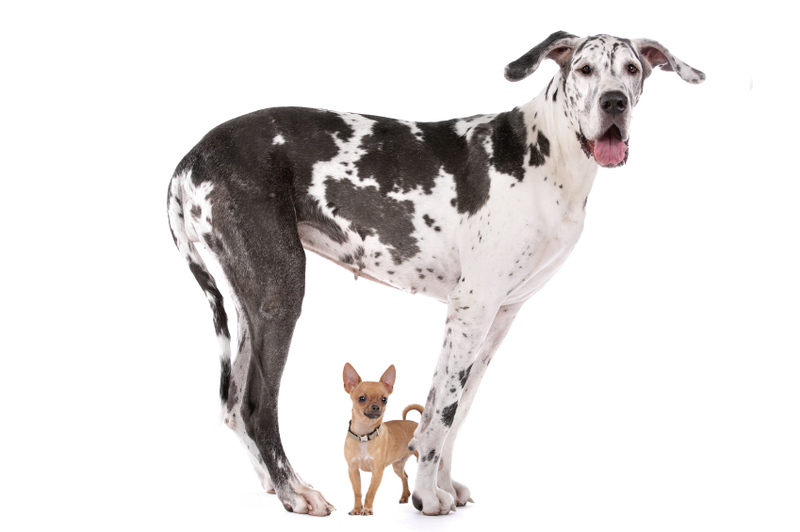 The downsides of working with a smaller firm can relate to both capabilities and capacity. Many small firms can’t really address every type of project. The good ones will recognize this and guide you to another firm if your request is outside their expertise. And, there can be capacity issues when workloads get high. Our experience has been that capacity issues are rare, and at Crux we have relationships with other firms similar to ours to help each other out in times of need. In 2013 we conducted a MR industry survey along with Bridgemark Solutions. On the supplier side, the study found that individuals working at smaller vendors are more satisfied with their careers than those working at major suppliers. And, on the client side, research spenders are more satisfied with smaller suppliers than larger suppliers. So, there certainly is a powerful force driving research spenders to use smaller firms. We expect the trend to continue. The technology of research has become democratized. Starting a research company no longer requires large investments in infrastructures like phone centers, online panels, and methodologists. These services are widely accessible and available, and more and more researchers in large suppliers are seeing this and starting firms. We can count at least a dozen of our former colleagues who have done so since we launched Crux in 2005. So, is bigger better? Where do we net out? The right question is to ask is probably “if we were a research buyer, who would we select – a large firm or a small firm, for our project?” The best answer would be a small supplier, provided that you find one that has the right capabilities and has a professional staff that connects well with your needs and with you personally. The right small supplier can be more difficult to find, but can result in research that is better, faster, and cheaper, and a process that is a lot less stressful along the way.